The Summer Birds group has 8 different winter bird images. 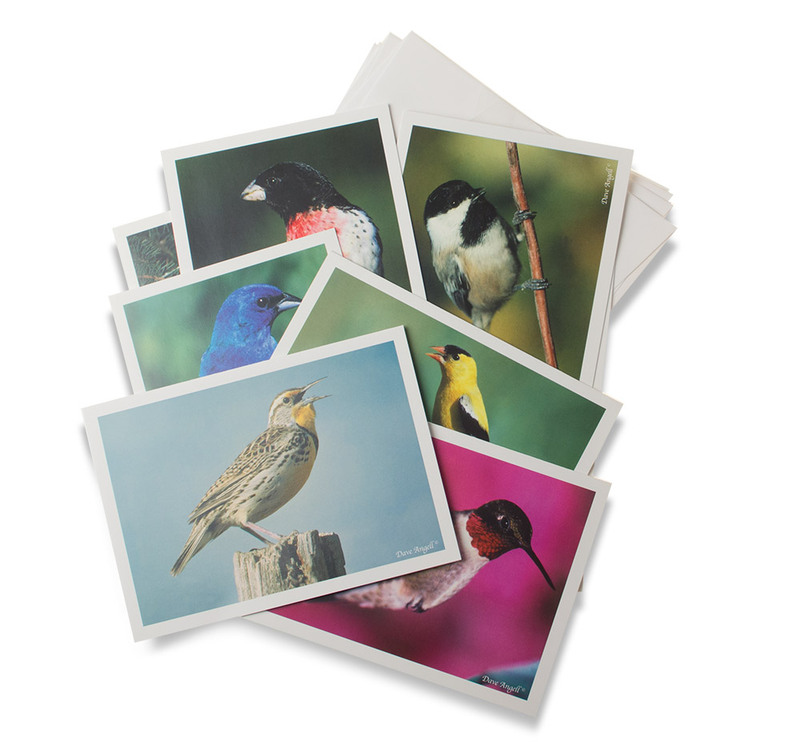 There is an image of a Bluebird, Chickadee, Rose-breasted Grosbeak, Robin, American Goldfinch, Indigo Bunting, Hummingbird, and Meadowlark. The cards are a folded 4 x 6 blank inside card.